Above: The building for Southborough’s youngest public school students is too cold to open tomorrow. No, you didn’t miss a change in the forecast for tomorrow night’s snow. 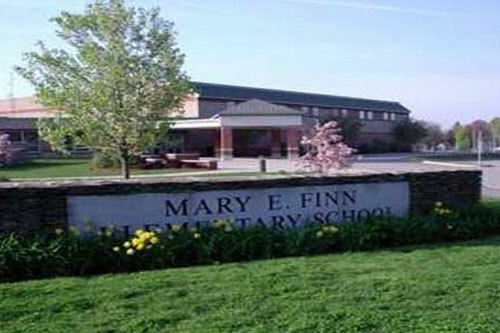 A heating system failure that occurred today is behind the announced closure of Mary Finn School. Tonight’s forecast to hit a low of 16 degrees with temperatures only going up to a high of 35 degrees tomorrow. The school and morning care programs will be closed as a result. The Finn School experienced an issue with the heating system today resulting in a loss of heat. Due to this unforeseen circumstance and the forecasted temperatures, school is cancelled tomorrow, Tuesday, January 29, 2019, for all Finn students. As a result, all Finn programs are cancelled including morning care for Finn and Woodward students.